MILWAUKEE (AP) — In a story Nov. 21 about a 13-year-old girl who was shot and killed in her home, The Associated Press erroneously stated that girl’s last name was Barnes, not Parks. MILWAUKEE (AP) — A 26-year-old man accused of firing into a Milwaukee home and killing a 13-year-old girl in her living room may have been planning to shoot his ex-girlfriend, prosecutors allege in a complaint filed Wednesday. According to the complaint, Isaac Barnes’ ex-girlfriend said Barnes approached her wearing a black mask and “holding a large AK-47 style firearm.” He told her, “I was going to fan you down,” but didn’t because she had her kids in her parked car. She was visiting her sister at a home Monday night near where Sandra Parks lived. It wasn’t clear from the criminal complaint whether Parks had already been shot by then. Barnes faces charges of first-degree reckless homicide, discharging a gun into a building, and possession of a firearm by a felon. The reckless homicide charge is punishable by up to 60 years in prison. The Journal Sentinel reported that Sandra had taken third place just two years earlier in a citywide competition with her essay commemorating the life of Martin Luther King. Parks’ mother had gone to bed at around 7 p.m. and was “awoken by the sound of gunfire,” prosecutors said in the complaint. “The next thing she heard was (Sandra) yelling “I’m shot! I’m shot!” prosecutors say. 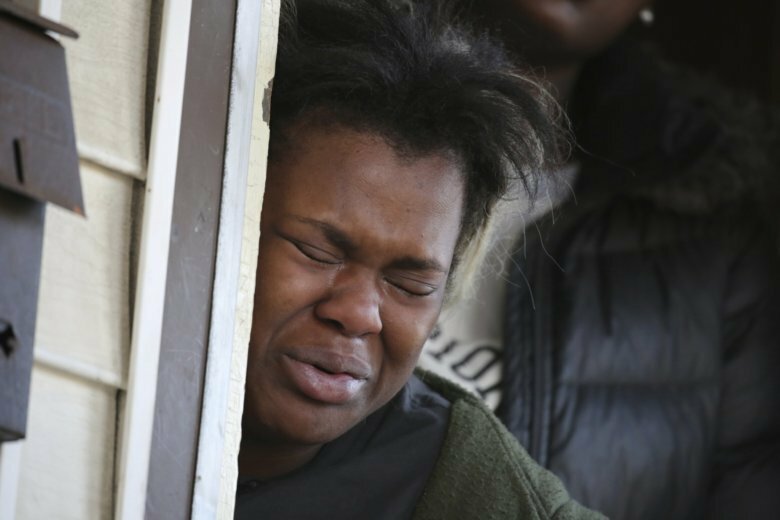 Milwaukee Mayor Tom Barrett had said Tuesday Sandra Parks was in her bedroom when she was shot, but according to the criminal complaint her mother found her bleeding on the living room floor, where her siblings had been watching television. Prosecutors also charged an acquaintance of Barnes with two counts of possession of a firearm by a felon, alleging that he had safeguarded two guns belonging to Barnes. However, the acquaintance, 27-year-old Untrell Oden, is not accused of participating in the shooting. Barnes and Oden did not yet have attorneys listed and haven’t had a bond hearing.